Suzuki’s Mehran is among the best seller small cars in Pakistan. It is not only affordable for the low income buyers but also offers great economy in terms of fuel consumption. This, in turn, makes the vehicle environment friendly. The used Mehran cars also have a high resale value. Unfortunately, the potential buyers haven’t yet been able to see a small car from the house of Toyota Motors – one of the Japan’s leading car manufacturers. Obviously, the large luxury cars are considerably expensive and often unaffordable. Nevertheless, the Toyota’s luxury cars are considered a sign of noble taste and high social status. As a response to the high expectations of Toyota fans for a small car, the company finally seems serious in fulfilling their demands. Pervaz Ghias, the CEO of Indus Motor Company, has recently revealed that the parent Toyota Motors intends to take its subsidiary Daihatsu into its full ownership. It will help the firm manufacture small and affordable cars. The oldest car manufacturer in Japan, Daihatsu Motors Co. is known for giving the consumers a wide range of small car models as well as off-road vehicles. The rapidly growing sales volume of motorbikes serves as an indicator of people’s tendency to buy small vehicles. On this ground, it can be said that the consumers are shifting from big to small cars. 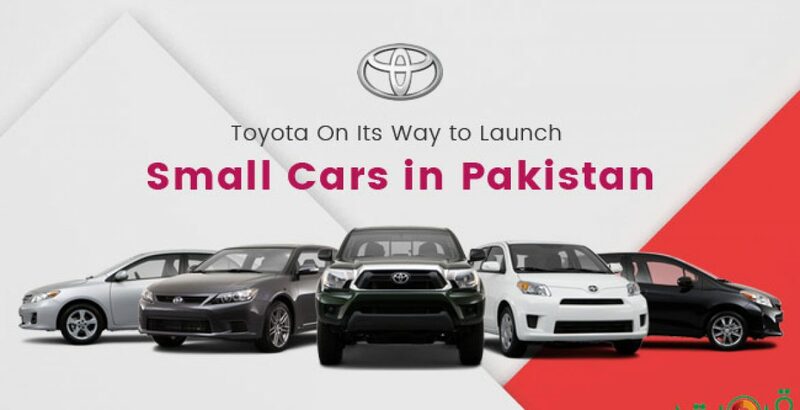 So, if a small car is launched by Toyota, it will have great future prospects in the country. The Toyota fans, with low income, are passionately waiting to welcome any such thing. In the emerging economies, like Pakistan, the sale of vehicles has already sped up. Many factors are contributing to such a trend. Firstly, the cost of car financing has gone down. Secondly, there is reduction in the rate of inflation. Yet another potential contributing factor is that of the low fuel prices. As revealed by the official sources, Daihatsu will become a fully-owned subsidiary of Toyota through the process of share-exchange which is likely to be completed by the month of August this year. As Daihatsu is already a renowned specialist in the line of small cars, it will enable the parent company to manufacture such vehicles. The share-exchange deal for Toyota-Daihatsu joint venture is worth 3 billion dollars. It can be considered a part of the Toyota’s long term strategy to invest in the compact car segment. By doing so, the company can harvest the great potential of emerging markets. Here it is pertinent to mention that Indus Motor Company or IMS is a Pakistan based company that manufacturers and markets Toyota brand vehicles in the country.